More of your favorite Nalgene to love. Nalgene's best seller is back and better than ever with the 48oz Wide Mouth Silo Water Bottle. It's designed with large opening on their wide-mouth bottles easily accommodates ice cubes, and fits most water purifiers and filters that makes hand washing a breeze. The attached loop-top never gets lost and screws on and off easily. More of your favorite Nalgene to love. 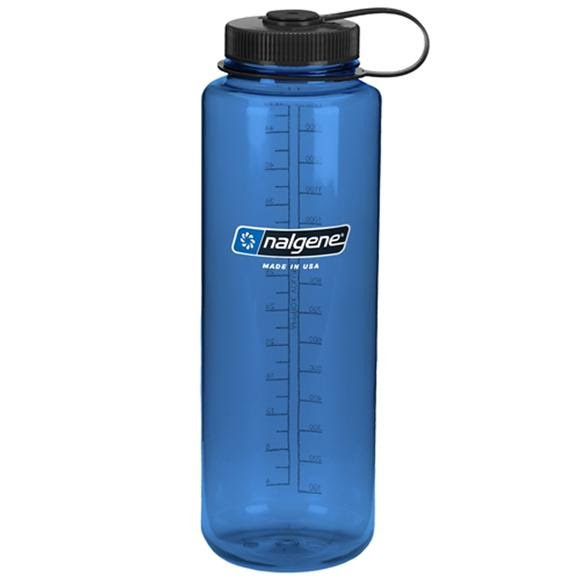 Nalgene &apos;s best seller is back and better than ever with the 48oz Wide Mouth Silo Water Bottle. It&apos;s designed with large opening on their wide-mouth bottles easily accommodates ice cubes, and fits most water purifiers and filters that makes hand washing a breeze. The attached loop-top never gets lost and screws on and off easily. Printed graduations let you keep track of your hydration.